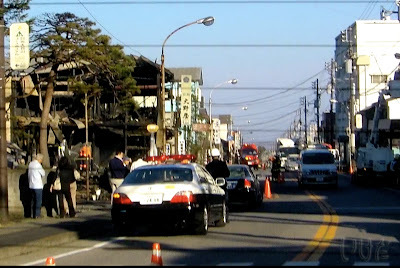 I mentioned in my post on Saturday that there was a big fire in Nikko city on April 16. Four buildings burned down to pretty much nothing. That's really sad and unfortunate. 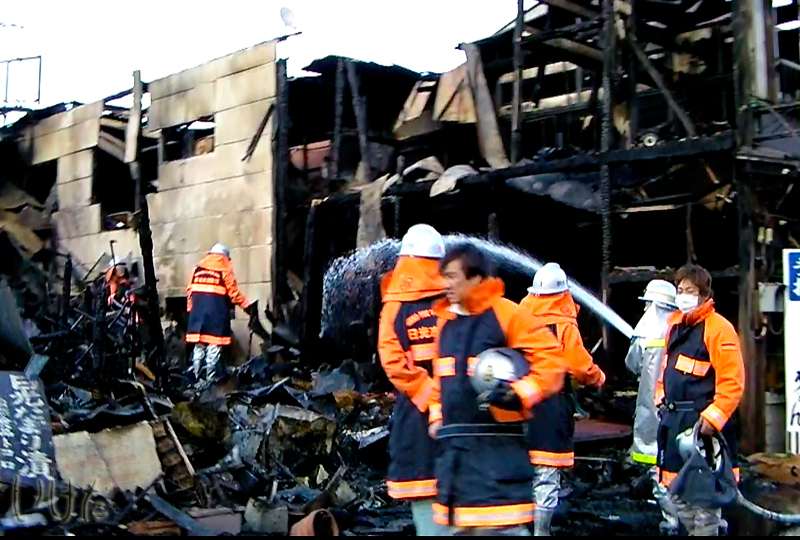 But what is even sadder and more unfortunate is the story how this fire started. An elderly lady struggled to park her car. In a true Japanese fashion, she was parking it by backing up into the parking space. 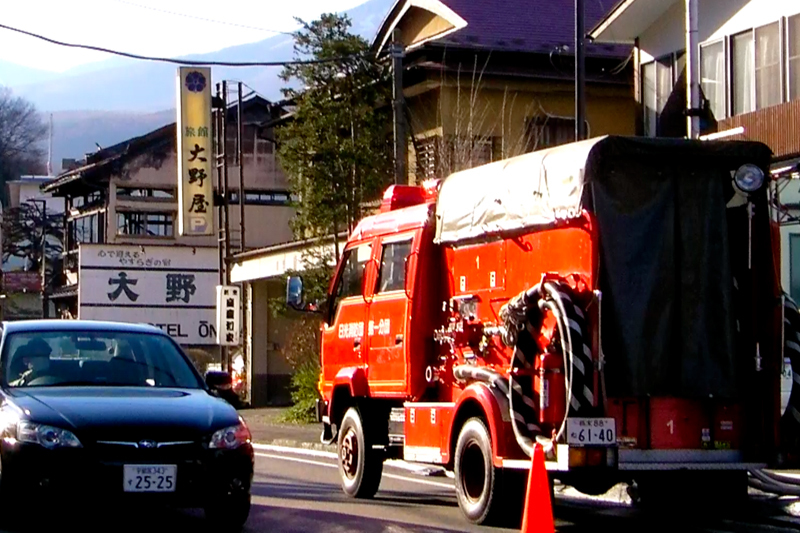 People remembered her very well, because her maneuvers blocked the traffic for a couple of minutes. She finally managed to park and went in to buy something. When she returned to her car, she got in, and all she needed to do was turn on the turn signal and join the traffic on route 119 (that main street in front of the building). But being an elderly lady, she didn't quite manage to do so on her first attempt. She had to back up in order to re-position the car. And she backed up so vigorously (or perhaps confused the brake and gas pedals, that would be my guess) and hit something flammable. Some people say it was a propane tank, others - that it was a portable fuel container. Either way, she hit it hard enough for it to fall on the back of her car and start a fire. It was a very windy day. She had just enough time to get out of the car when the fire was burning out of control. And before anybody knew what was going on, four buildings were in flames. The old woman will not be held liable for the accident, because the official version is that something in her car "malfunctioned". And since there no longer is a car to examine and prove what really happened, the official version stands. Personally, I don't know how she can live with herself knowing that four families lost their lives' work because of her carelessness. I hope she has the worst nightmares imaginable till the day she dies.